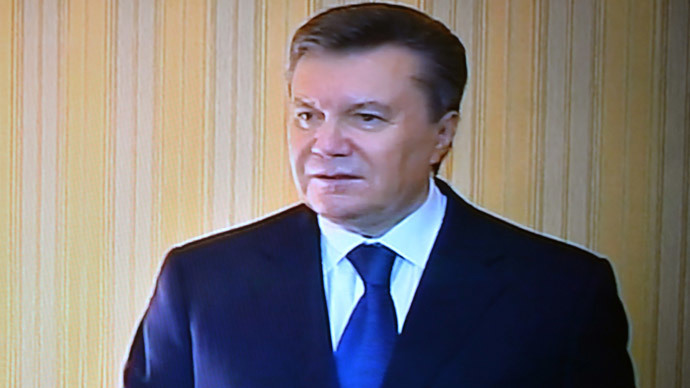 The interview with the embattled president was broadcast right after the opposition claimed it had received verbal assurances that Yanukovich was resigning. 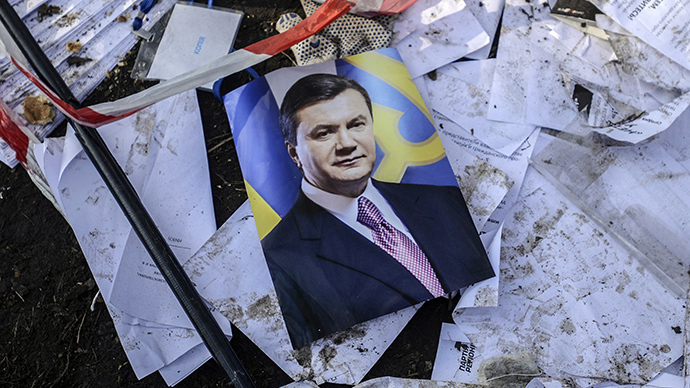 "Everything that is happening today is, to a greater degree, vandalism and bandits and a coup d'etat," Yanukovich said in a televised statement. On Saturday, Ukrainian parliament (Verkhovna Rada) held a new emergency session, during which it passed a law on the return to the 2004 constitution without the president's signature, saying that the president had removed himself from power. It also appointed a new head of the Ministry of Interior and a new head speaker of the Rada. In addition, parliament ruled to free former Prime Minister Yulia Tymoshenko from prison and set early presidential elections for May 25. 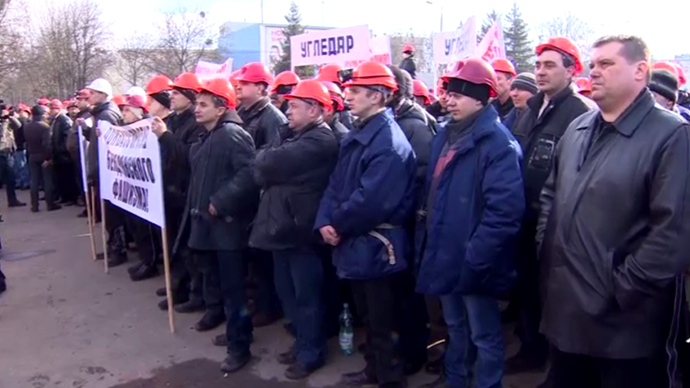 But Yanukovich says the motions passed by parliament are illegitimate, and says he will not sign any of them. The president said his car had been shot at while he was traveling to the airport to go to Kharkov. "But I have no fear. I am overwhelmed by grief for our country. I feel responsibility," he said. 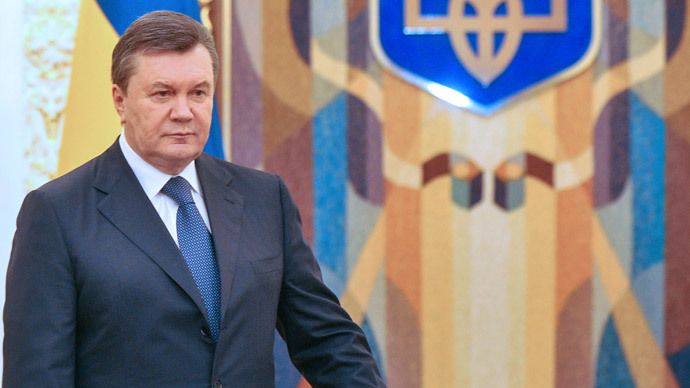 "I'm doing everything to prevent the bloodshed of the people who are close to me,” Yanukovich stated, referring to his supportive deputies who he said are being threatened, beaten, and targeted by stone-throwing rioters. He compared the situation in turbulent Ukraine – which is facing its worst political crisis in modern history – to the rise of the Nazis in the 1930s. "We now see the same things that were [happening] in the 1930s, when the Nazis came to power. [They] forbade [political] parties...It's the same now – [they] ban the party, stalk, beat people, burn down offices," he said. Will EU mediators fulfill their responsibilities? The leader has stated that he expects international mediators to fulfill their commitments. “I was given guarantees of all the international mediators, with whom I worked. They gave security assurances. I'll see how they will perform this role,” he said. 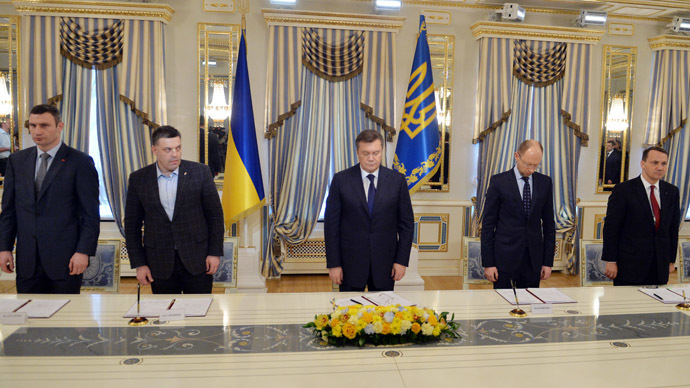 On Friday, Yanukovich and opposition leaders signed an EU-brokered agreement on ending the political crisis in the country. While it stipulated five major conditions, the agreement did not give the opposition the power to impose new laws or appointments without presidential approval, though they have attempted to do just that. Thus the conditions of the deal are being clearly violated. However, the EU – which mediated the deal between the opposition and ruling government – remains quiet. On Saturday, the foreign ministers of France, Poland, and Germany – the trio that most actively helped reach the deal between the rival sides in Kiev – admitted that opposition leaders have broken the agreement, according to the Russian Foreign Ministry. The three EU ministers have spoken separately with Russian Foreign Minister Sergey Lavrov, who has voiced concerns over the Ukrainian opposition’s failure to fulfill the conditions of the agreement. "The opposition not only has failed to fulfill a single of its obligations but is already presenting new demands all the time, following the lead of armed extremists and thugs whose actions pose direct threat to Ukraine's sovereignty and constitutional order," Lavrov told the ministers. Russia’s FM has called on his counterparts to use their influence with the Ukrainian opposition to stop what he described as rampages by its supporters. “It is time to stop misleading the international community and pretend that today’s Maidan represents the interests of the Ukrainian people,” Lavrov said. "Agreed with German Foreign Minister Steinmeier today to support new government in Ukraine and push for vital IMF financial package," Hague stated on Twitter. Sergey Lavrov also voiced his concerns in a talk with US Secretary of State John Kerry. The Russian FM told his counterpart that Kiev had been taken over by "illegal extremist groups," adding that the situation in Ukraine has sharply escalated, the Russian Foreign Ministry said in a statement.